MVUMA - The Culture Day celebrations held at Fairfields recently, ended tragically for a Mvuma councillor and a Government officer after they were bashed by the husband of a councillor they had given a lift home. The trio dropped the councillor home in the early evening. 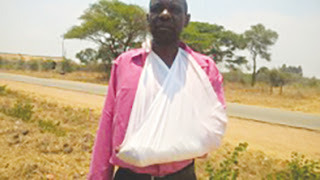 Tremendous Musara who is Ward 13 councillor and Folisiyo Chimbiya, an officer in the Ministry of Women Affairs, Gender and Community Development sustained injuries when they were assaulted by Peter Mawana (40) who is husband to Ward 11 Councillor Linar Dakati. The incident occurred at Mawana’s residence in Rukweza Village in Chief Chirumanzi’s area around 7pm. 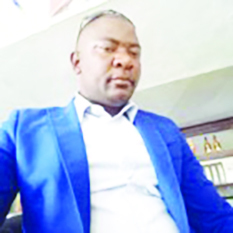 Mawana of Mawana Village, Chief Njelele’s area in Gokwe appeared before Mvuma resident magistrate Tafadzwa Mhlanga recently and pleaded guilty to two counts of assault but was not asked to plead. The trial however failed to proceed after Mawana asked the court to allow him time to find a lawyer. Musara and Chimbiya accompanied Dakati home and also ferried cooking utensils used to prepare food at the Culture Day celebrations. When they arrived at Dakata’s place, Musara asked Mawana to come to the motor vehicle and help him offload the utensils. This did not go well with Mawana who then took a log and struck Musara on the buttocks and he sustained bruises. Chimbiya, who was driving behind Musara, arrived at the homestead and found Musara complaining of the beating. Chimbiya disembarked from his car and Mawana picked another log and struck him once on the head and once on the left hand. 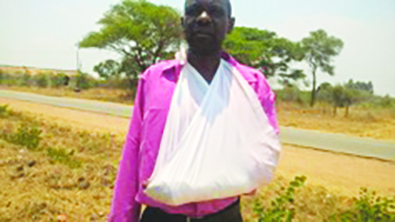 Chimbiya sustained a fracture. Mawana was remanded out of custody.